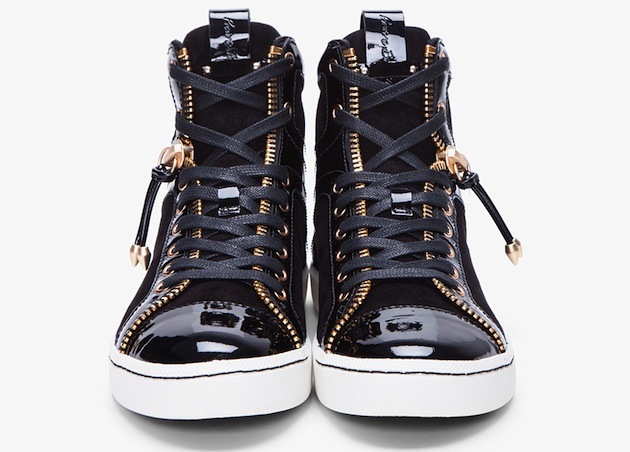 With these Lexis sneakers the Pierre Balmain label is pushing the envelope when it comes to zipper inspired design. Not only do these shoes have a bold design, they feature black suede, black patent leather trim, gold tone zip detail, and a white rubber sole ($735). I want this sneackers! Where can I buy it? 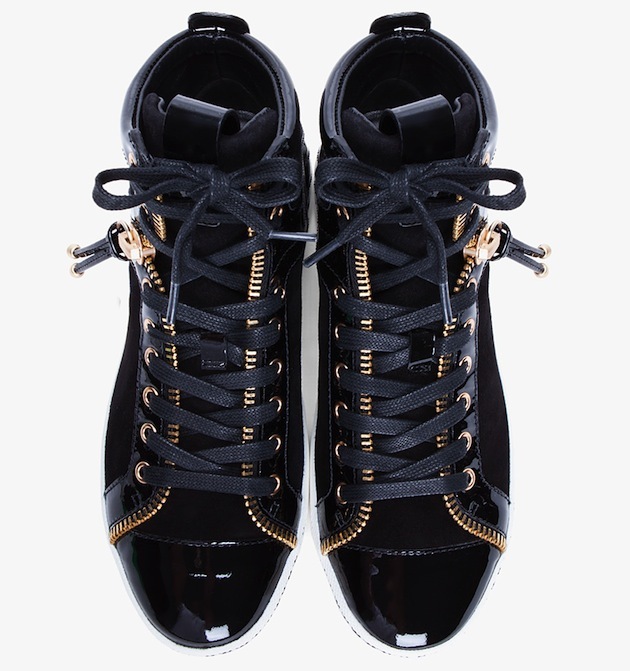 Thanks for liking the Pierre Balmain Lexis Sneakers, you can get them at: http://www.ssense.com/men.